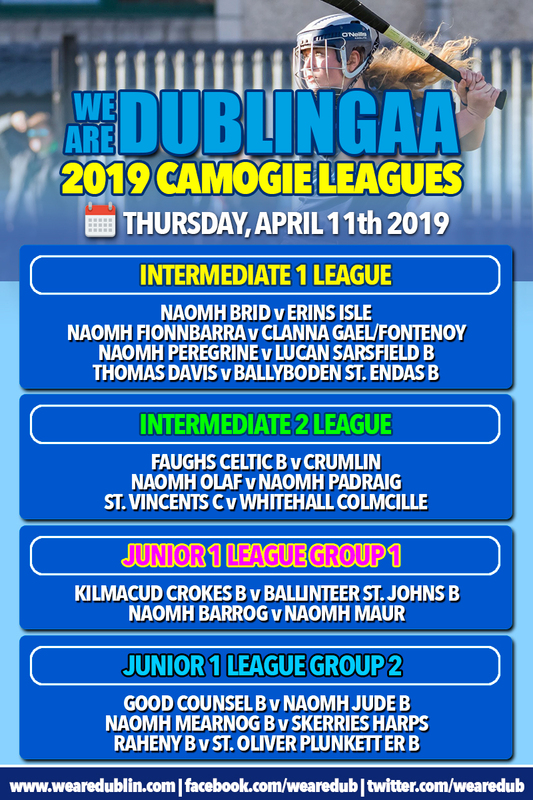 Tonight we see Round one of both groups in the Junior 1 Camogie League and the Inter 2 League, along with Round 3 of the Inter 1 League as the We Are Dublin Camogie League continues. Erins Isle, Ballyboden St. Endas and Naomh Brid are all tied at the top of the Inter 1 table having won their opening two fixtures. And this evening something has to budge as Erins Isle and Naomh Brid square off. Naomh Fionnbarra and Clanna Gael/Fontenoy, two sides yet to record a win will go head to head. Naomh Peregrine come off their bye week to face Lucan Sarsfield, who beat Thomas Davis in the last round to record their first win. And Thomas Davis welcome Ballyboden as they go in search of their first win in the division. A fresh start in Inter 2 as the action gets underway this evening. Faughs/Celtic B who topped last year old Senior 5 division start life in Inter 2 facing Crumlin, who only registered one league win last year. Naomh Padraig and Naomh Olaf, who finished only a point apart in least year’s league renew their rivalry later. Whitehall Colmcille finished bottom of the division last year so they’ll be looking to get off to a positive start facing St. Vincents C, who themselves recorded two wins from seven last year. Erins Isle have their bye week to start Junior 1 Group 1. Kilmacud Crokes B welcome Ballinteer St Johns for their opening game, while Naomh Barrog and Naomh Maur square off. And in Group 2 we have three games to get the group up an running. 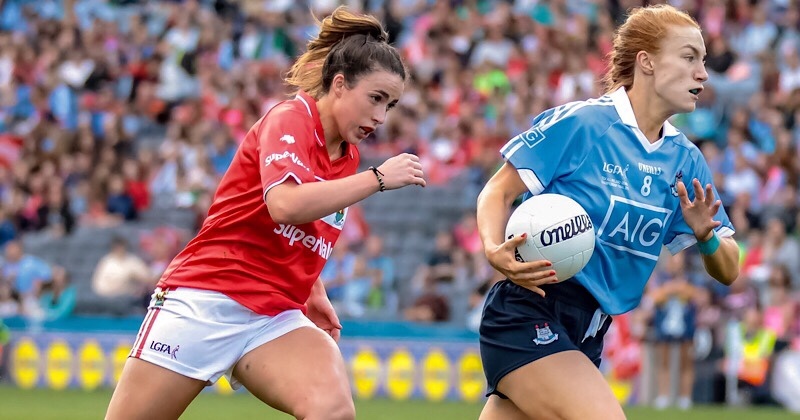 Good Counsel B will take on Naomh Jude B, Naomh Mearnog B will face Skerries Harps, and Raheny B will go head to head with St. Oliver Plunkett Eoghan Ruadh B.